Yarrawood Estate Winery is a well-known winery which was established in 1996. This family owned and operated vineyard is nestled along the popular Melba highway towards the north of Yarra Glen. Sitting atop a scenic crest of the Yarra Ranges, this picturesque vineyard estate overlooks the charming countryside in the Yarra Valley. 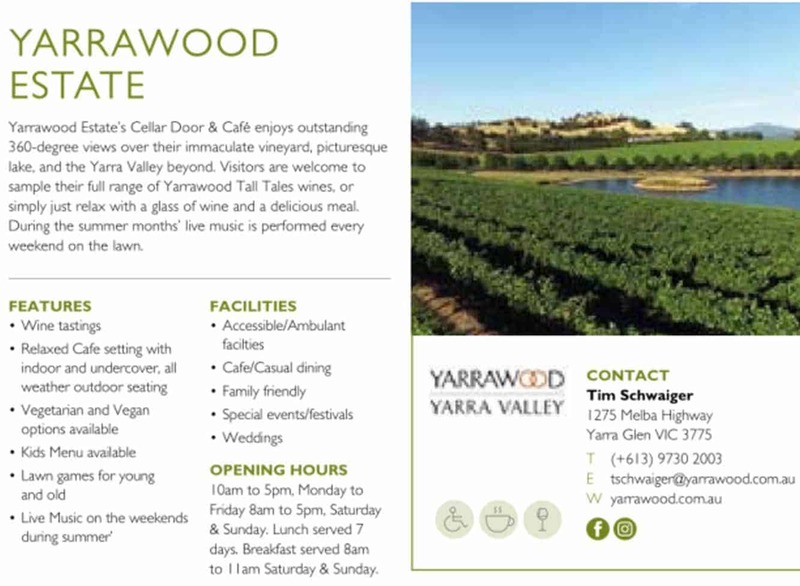 The Yarrawood cellar door is often visited by many tourists to Yarra Glen and the Yarra Valley. People come here to take winery tours which allows them to try the full range of Yarrawood Estate wines on offer. Come to the Yarrawood Estate cafe and try their range of sharing plates, cheese platters, pastas, fish and house made desserts. Breakfast is also served on the weekends and includes eggs benedict, granola as well as vegetarian breakfast options. Besides their delicious food, the winery is also famous for their Tall Tales range of classic wines. Explore their cellar door featuring a wide array of Tall Tales wines that include an extensive choice of red and white wines. This multiple award-winning vineyard offers many authentic and international-quality wines at very reasonable prices. If you are looking for a wedding venue, Yarrawood Estate offers a relaxed venue for casual functions and parties of 80 guests or more. 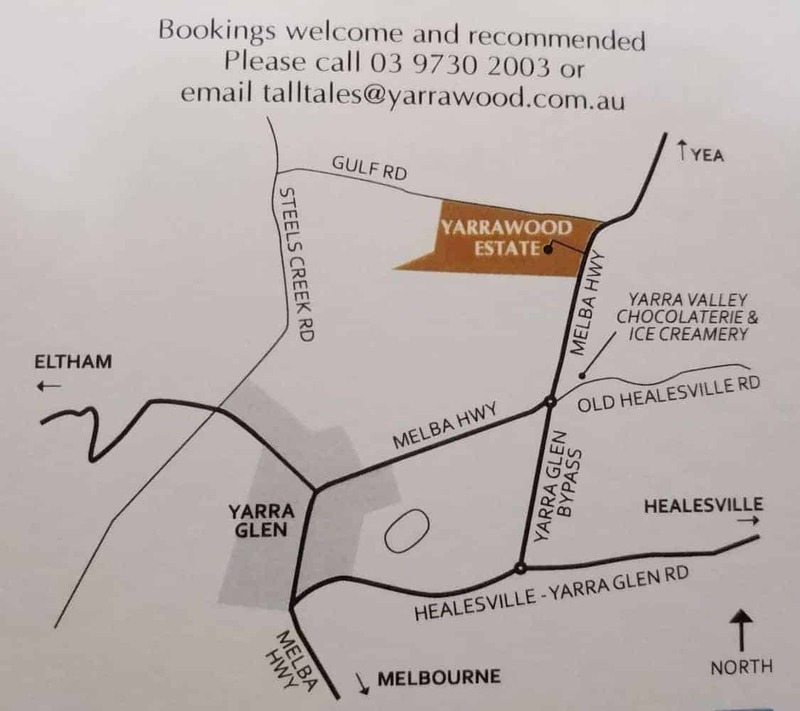 Contact Yarrawood Estate directly for more details.